A new form of tourism is sparking up in Oregon, and Pedal Bike Tours is leading the way – marijuana tours. Guests purchasing pot on October 1st. With recreational marijuana now legal in the state, Pedal Bike Tours is giving guests the chance to pull back the curtain on Oregon’s thriving marijuana industry with the launch of the state’s first cannabis-centered tour, the Portland Pot Tour. Did you know hemp was one of the Willamette Valley’s first commercial crops? The Portland Pot Tour covers how Oregon’s fortunes have long been tied to the cannabis plant, bringing us up to legalization today. 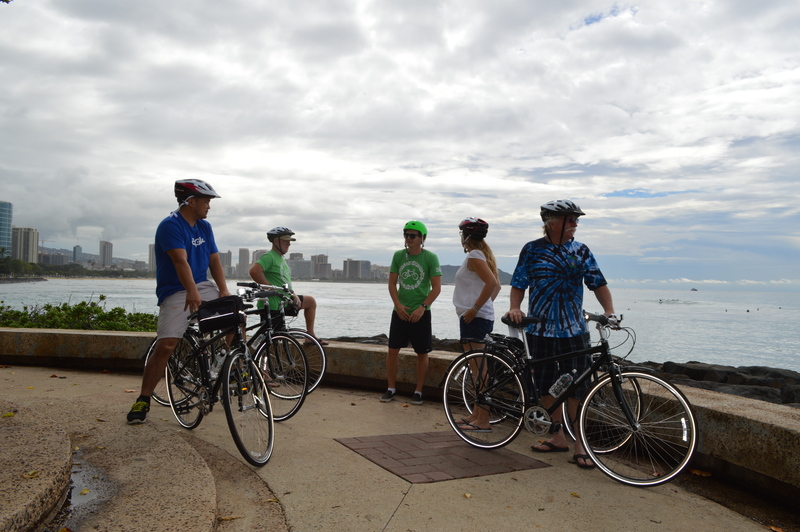 So in addition to the fascinating history, riders on the tour will learn the current laws for purchasing and consuming cannabis products, as well as get direct access to some of the finest pot available – and we’ll do it all by bike! The relaxed 9-mile ride takes riders to some favorite dispensaries, like Canabliss and Gras, as well as legendary head shops like Third Eye Shoppe and Mellow Mood. Guests can browse and shop for the finest locally-grown and organic strains, hand-blown art glass and carved wooden pipes. The tour also includes delicious “pairings” with a couple munchy stops, including ice cream (yes: vegan options are available). 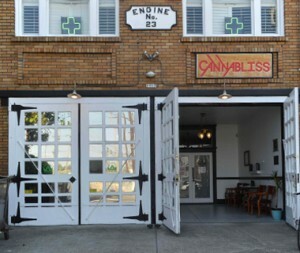 A stop at Canabliss dispensary in SE Portland. 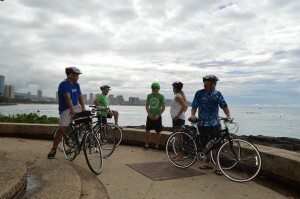 Prices include a bike, helmet, guided tour, food and a joint of local marijuana at the end of the tour ($69). 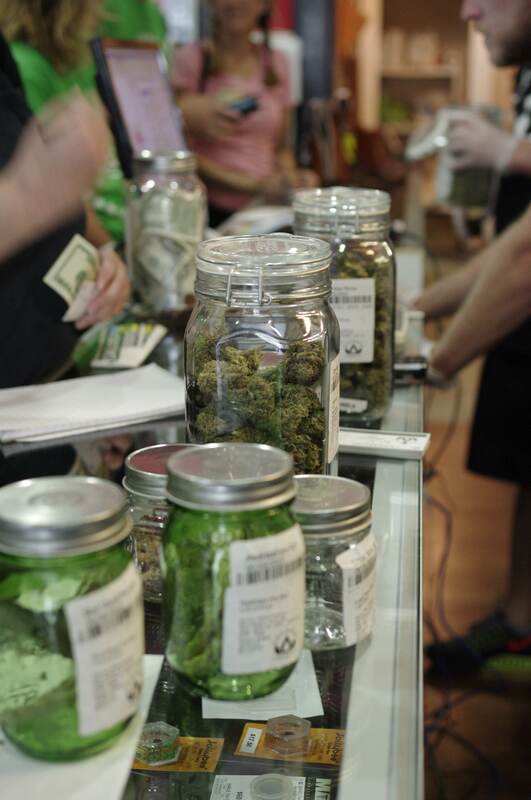 Riders will not consume marijuana on the tour itself, but are welcome to purchase products for later. 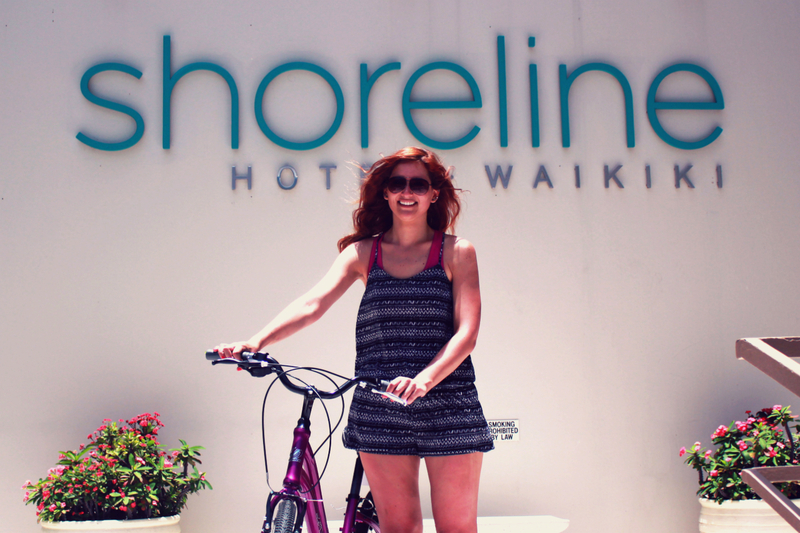 We hope you can join us for this one-of-a-kind bike tour! 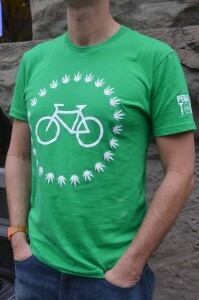 Pedal’s new limited edition Portland Pot Tour t-shirt, available at our shop. Portland, Ore. (11/23/10) – BikeCraft, held each year since 2005, is a bike-lover’s holiday gift bazaar that showcases local, handmade, bike-themed arts, crafts, fashion and accessories. This sixth edition is free to the public and will take place at the new home of local bicycle accessory design firm, Portland Design Works located at 15 NE Hancock St. Portland, OR 97212. The family friendly fair will run both Saturday and Sunday, December 4-5, 2010 from 10am-6pm. Guests can browse and purchase offerings by more than 50 local artisans from cycling caps to screen prints and bike bags to jewelry and pet collars fashioned from upcycled bike parts. Food and beverages will be available from bike-based businesses and door prize giveaways are planned. BikeCraft is a production of BikePortland.org and is sponsored by Pedal Bike Tours, Portland’s year-round home for local bike crafts, and Leatherman Tool Group. Pedal offers sightseeing tours by bicycle of Portland and the surrounding region from their shop in the heart of downtown Portland. Pedal also offers local bike crafts, urban fashion and commuter accessories.